A car of North’s design, the GTO, is this year’s raffle car for the Buffalo Bill Center of the West. NOTE, 9/22/2018: The winner of the 1966 Pontiac GTO is Ticket Number 4206 from Bozeman, Montana!! And he should know. As a 33-year employee with General Motors (GM)—the only job he ever had, he says)—North designed the GTO, naming it from an abbreviation of a Ferrari show car: Gran Turismo Omologato. He finds this year’s raffle car at the Center a great example. The night-watch blue exterior lives up to its name, calling to mind the inky night sky. For those who think that what’s under the hood is at least as important as the exterior, the car is a true 242 GTO and boasts a four-speed transmission, a Tri-Power 389, and 355 Posi gears. “America craved horsepower,” North explains. “At the time, we were in the midst of the Vietnam War. The conflict launched many protests, and in the process, shaped a community of rebels—none of whom wanted a car ‘like Dad. '” The GTO fit the bill. 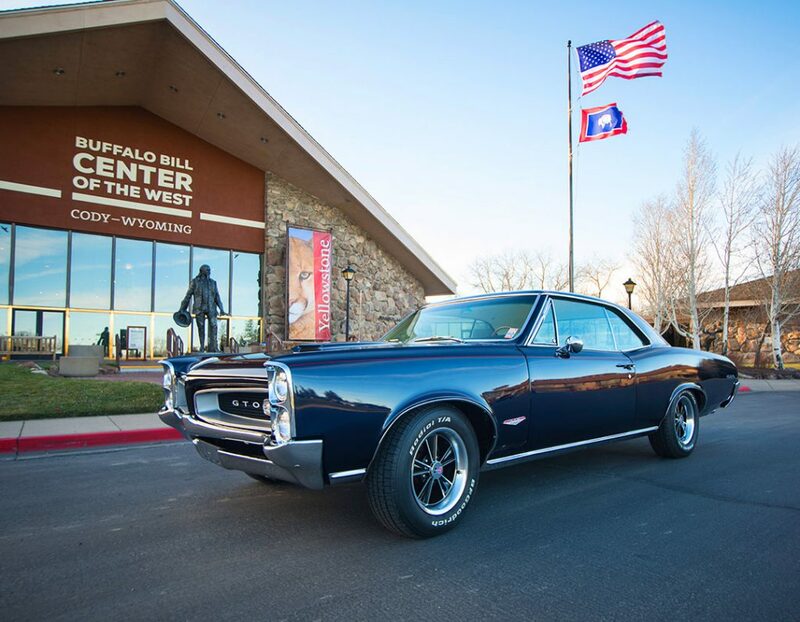 The GTO raffle takes place September 22 at the Center’s annual Patrons Ball; ticket-holders (18 or older) need not be present to win, and any applicable taxes are the responsibility of the winner. Void where prohibited by law, and note that tickets are not tax deductible. The winner must collect the car within thirty days of the drawing, and it cannot be exchanged for cash. Tickets are $20 each or six for $100. 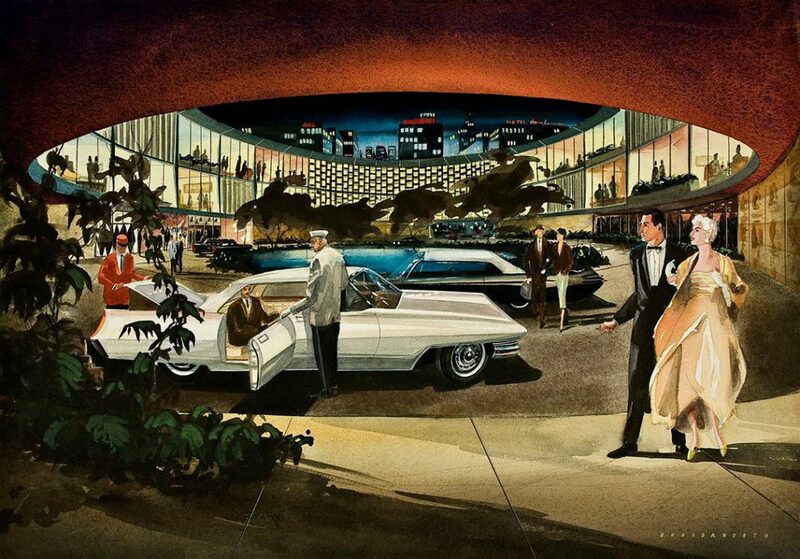 As a teenager, David North drew this elegant auto showroom. His car sketches adorned the walls of the Billings GM dealership—designs that caught the attention of the president of the car giant. The executive, who had flown in to rent a vehicle from the dealership for a family trip in Yellowstone, was completely taken by the 16-year-old’s designs. He encouraged the family to send North to the Art Center School in California where he eventually found himself in the company of classmates Ralph Lauren and John DeLorean. His first big break at GM came in 1964 when North designed the GTO. 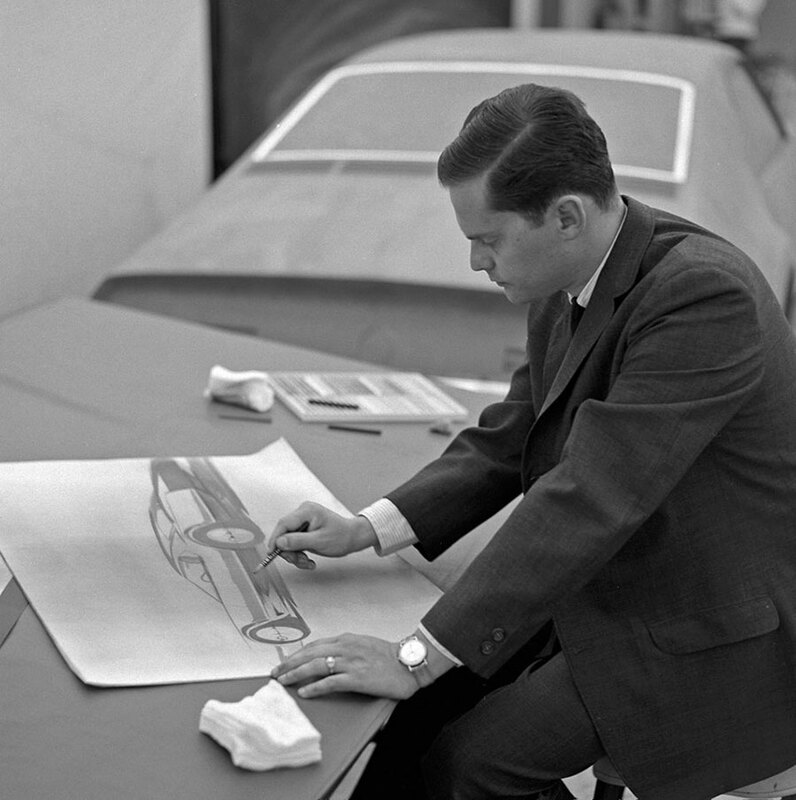 Later, he became the auto giant’s chief designer, responsible for other designs including the Cadillac Eldorado, the Buick Riviera, and the Oldsmobile Toronado, Motor Trend‘s Car of the Year in 1966. It’s also one of TV personality Jay Leno’s favorites. In fact, Leno tapped North to appear on his TV show, “Jay Leno’s Garage,” in 2013, hoping that he’d be forgiven for changing the car’s stock front-wheel drive configuration to a rear-wheel suspension. The GTO isn’t North’s only connection to the Center of the West, though. His family donated his grandfather’s Frank Wesson rifle to the Center’s Buffalo Bill Museum—a gift to Wild West cavalry performer Luther North by Buffalo Bill in 1879. North plans to be on hand to visit with the GTO raffle winner in September. He and his wife, Pat, currently live in Billings. David North at work at General Motors. For more information about the GTO, check out the Center’s website.